with all your environmental planning needs. delivering first class results while remaining focused on saving our clients time and money. As specialists in the environment we are constantly looking to develop new ways to increase the efficiency of our people, processes and Technology. Efficiencies that will allow us to produce quicker and more cost effective results for our clients. As we all know missing project deadlines means plummeting profits. So you’ll be happy to know that our record of hitting agreed timelines is 100%. That’s right, across hundreds of projects, ours finish on time 100% of the time. Innovation allows us to work faster and more accurately for less cost without having to cut corners. For example, our proprietary DigiDataReport™ allows 24 hour, next day answers in-field survey data reporting. professionals. Our adaptive spirit and need for speed attitude has been tuned to match the needs of modern development projects. It might be surprising to hear that risk management can be a risky business. It’s not an easy task assessing the quality of a consultant’s people, processes and promises until you’ve used them; and by then it’s probably too late. So we have set new standards of environmental consulting, to benefit project proponents, construction companies and project managers who work in development projects. Our experienced team, along with our agile and innovative approach, is focussed on saving our clients time and money through increased efficiencies. So you can be confident that we are producing the best results, in the quickest timeframe and for the best price. Taking the risk out of risk management. We’re all about taking the risk out of risk management, so our clients can enjoy increased profits and increased peace of mind. The team at New Ground are a dedicated professional outfit. They provide a culture of on time, high quality work while maintaining a strong commitment to safety and interaction with numerous stakeholders. One of the many highlights with working with New Ground has been their consistent drive to improve their delivery and value add to our processes. This has often resulted in reduced cost and accelerated delivery timeframes. I have now performed two audits on the New Ground Integrated Management System. I see a wide range of businesses and business systems, some cumbersome, others efficient, useful and well – considered. I rate the system implementation at New Ground as one of the best, being the most innovative and most effective I have observed. The system is clearly in use and is a useful addition to the business to lower costs, improve performance and lower the chances of injury. The Management System developed by New Ground appears to do its job very efficiently in supporting a committed management team. We have always felt supported by the team at New Ground, they consistently perform for us, and are always quick to respond to changes in our requirements. Their innovative field assessment approach has saved us budget on more than one occasion, but the output is always first class. We can be confident that construction won’t suffer any delays from ecology-driven stand-downs. 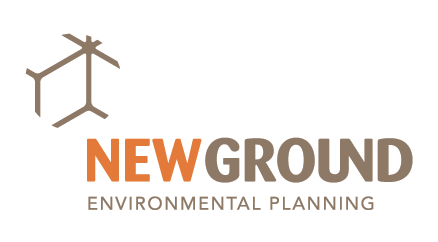 I recommend New Ground highly if you want the peace of mind of knowing you have a highly committed team of experienced ecologists with your best interests at heart. New Ground navigated us through federal government requirements for an environmental offset over our Brentwood master planned community. They identified a solution that saved us a substantial amount of money, enabled us to transfer responsibility for the offset to another party and did not place ongoing offset management burdens over our development site. Their collaborative approach in working with regulators and the project team led them to design solutions that aligned with our vision for the project and led to faster resolution of our approval. get on-site and off again within your site access window, guaranteed. won’t be any surprise costs from project over runs. in survey data reporting. No one does it faster. your system, and at minimum cost. can be confident that we will catch any issues early. We are Australia’s most flexible team of environmental specialists, agile enough to change project direction at the drop of a hat. being fully focussed on safety and compliance.